First of all can I just say where has the month disappeared to? I know everyone says it but for me August has truly gone by in a flash and I can't believe it's September in a few days. However I am excited about the month ahead and autumn in general so I can't really complain. August was a month of re-discovering products in my stash, so there's no new products I'm afraid. I personally enjoy getting to use a product I obviously loved using a few months back, but somehow ended up forgetting all about it for a while (it's gotta be a beauty addict problem). So much makeup and not enough time I say! First up is the Bobbi Brown Skin Foundation (in Natural) which I bought last February and enjoyed using for a good while. The only problem I had with it at the time was that I found it to be just a tad too dark for my pale winter skin. Now that I've got a bit of a summer glow, it suits my complexion perfectly and I've been getting great use out of it lately. Like with most foundations on me the staying power around my t-zone area is not great, but it feels super light on the skin so I guess I have to compensate somehow. Next up is the brush I've been using to apply the foundation, again an old favourite that has got no love in a long time! I'm talking about the Urban Decay Good Karma Optical Illusion Blurring Brush which I've had for almost 2 years. It was one of my first high end makeup brushes and I used it all the time at the beginning. However over time my brush collection expanded more & more, and I somehow forgot all about it. Let's just say I'm really happy to have started using this once again, as it applies foundation flawlessly. This buffing brush is so soft and the bristles are tightly packed together. Another Urban Decay favourite is the Naked Flushed Palette, which I seemed to have completely overlooked in the last few months. Once again I'm glad to have re-discovered this beaut. This is the original palette that came out (I know that since then they have released more shades) and it has a bronzer, highlighter and blusher. These shades may not be the best out there, but for a palette I think it's pretty good that I get along with all three. This is also great if you're in a rush doing your makeup, as there's no messing around; it's all packed in there. Most importantly it is great for travelling as it can minimise that massive makeup bag a whole lot. I've then got a lip product in here, a Revlon Colorburst Lip Gloss (in Peony) to be precise, which is very unusual for me as I am definitely not a lip gloss kind of gal. I can't seem to find this online so it must have been discontinued. Somehow this has ended up on my face quite a few times this month. What I love about it, is that it doesn't have that sweet stickily feeling, which you get with a lot of glosses. I also love the shade as it's very natural with a hint of pink and tiny gold particles, making it a very daytime wearable product. Next up is the L'oreal Superliner Ultra Precision which I love, love, love and I've missed using. During the hot summer months the last thing I bothered with was eyeliner as I kept makeup to a bare minimum (most of the times completely bare). Now that it's gotten a bit chillier and we're not dealing with constant humidity, I thought I would get back into the habit of wearing eyeliner and this has got to be one of my favourites. It's so easy to apply, it doesn't dry up midway and the finished result is a gorgeous black, precise line. Last beauty favourite is the MAC Fix+, which I've had for quite a while now and as you can see I've only managed to use up a quarter of it. I love spritzing this onto the face at the very end of my makeup application, since it's great for minimising that powdery look if you've managed to over apply the powder (I can be guilty of this on many occasions). Lately I've also loved experimenting this along with eyeshadows, as it intensifies the colour. It's also great for creating eyeliner out of dark eyeshadows which I recently discovered in one of my posts here. I would suggest you buy the travel size though as it lasts a long time and I dunno if I'll ever get through the bottle. Last favourite of the month is not a beauty product but a TV show, The American Horror Story, which I've been watching from season one with my partner almost every night. I obviously don't get the change to watch it during the day with my toddler around, so it always ends up being a night time watch and I am always terrified of getting out of bed even just to go and get a drink or something. But I'm hooked regardless of how scared I get watching it and I'm already on season 3. I highly recommend the show if you're not already watching it. What are your August favourites? Please comment below as I'd love to hear what everyone's been loving this month. Good review, I love the look of the Naked palette - seen some good reviews of it!!! I love Fix+ and I am almost out! 100% need to get some more soon! 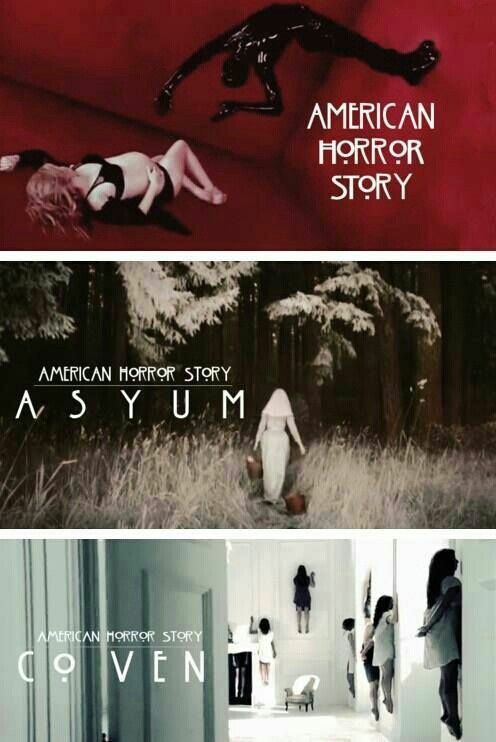 I love AHS too, need to finish season 2, I am dying to watch 3! Urgh, you've go me dieing to buy all these products, if only I had unlimited funds! I HAVE to try the Mac Fix +! I've been looking for a fixing spray that actually works, as with most it just feels like I'm spraying water on my face! Bobbi Brown foundation always has such a lovely finish! I completely agree with you about August truly flying by! Gorgeous picks here, I love Revlon's lip products but am still yet to try their lipglosses! Really want to try the Superliner it sounds amazing! Great favourites, I really want the UD Flushed palette! It's a shame that Revlon shade is discontinued as well because it looks so pretty! I want to buy basically everything you've put on here haha, oops! I was a big fan of American Horror Story but Coven kind of disappointed me, I just don't find it as interesting as the other two :( Hopefully the next series will bring me back again! Ohh, this post has completely reminded me how much I wanted the Urban Decay Flushed palette - I'm definitely going to have to pick one up on payday! I loved AHS seasons 1 and 3, but I gave up on season 2 about halfway through - couldn't get into the 'aliens' vibe :/ haha. 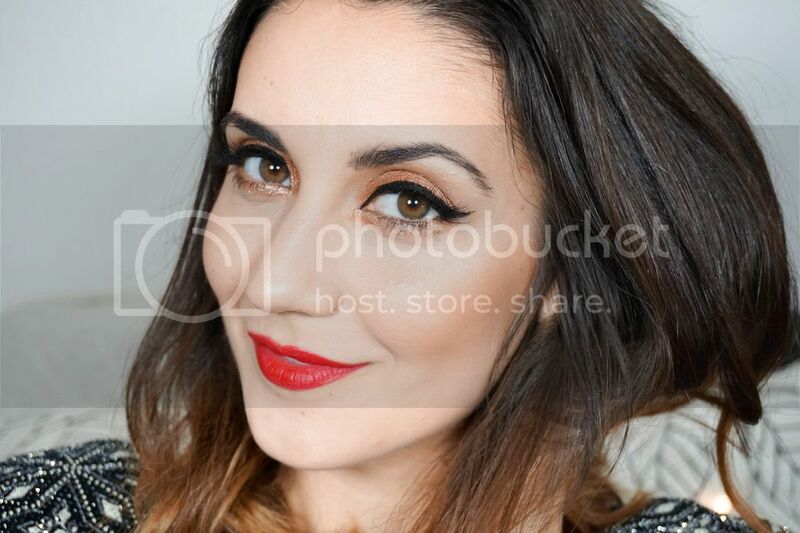 Found your blog on BBloggerschat & i've just been having a red of your posts & i love them! Im just finishing the end of american horror story season 1 and cant wait to continue into the next season! I binge watched all the series of AHS earlier this summer: love it! Love Revlon glosses. The Flushed palette sounds good too, can't decide if I want the Basics one more! Oooh all these products/colours look gorgeous! Tempted by the MAC Fix +! Great post! I have been wanting to try Bobbi Brown foundation. I might just have to splurge and grab it up! I know, the month has gone by fast, it seems like August just started. I'd love to have that UD palette. Paired with the naked basics, a mascara and a foundation you have your travel makeup sorted.